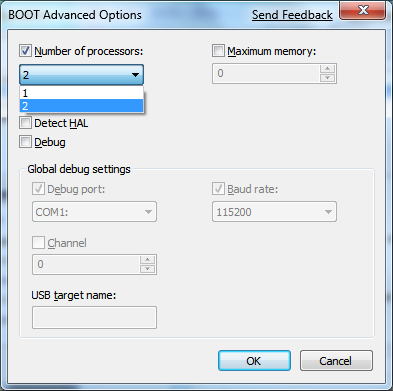 Although I think Windows 7 boots up really fast there is one way you may improve it! During a standard boot phase it will only utilize one processor, so if you have dual core processor it will use it. 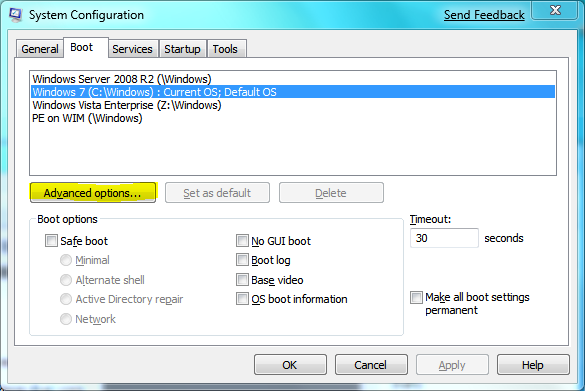 Select Boot tab and select your Windows 7 click Advanced options.